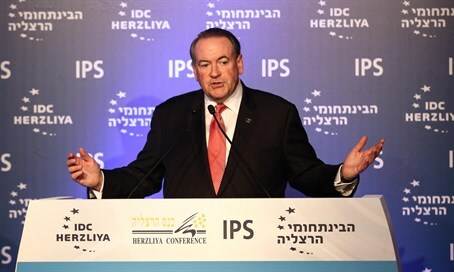 “Why is it that you Christians love Israel, support Israel?”, former governor and Republican presidential nominee Mick Huckabee answers this very question in his speech at the IDC Herzliya press conference. Huckabee reinforces this statement proudly showing off his own personal Jerusalem Nano Bible pin with the Old Testament printed on it. “It’s all there,” he says. There is a long and intricate between the Jewish faith and the Christian faith. They are forever connected. The Jerusalem Nano Bible brings together both the Jewish and Christian faith. An incredible keepsake, made right here in The Holy Land.